ProEngage Local Houston Web Design Advantage! Searching for Houston web design prices? Or perhaps you were reading one of our blog posts, & decided to see how much a new website costs? Either way, you found your way to this page. Because, we specialize in local Houston web design & marketing. So, the short answer to your question is… Our best value local websites start at $99/mo., and that covers just about everything you need to have a professional mobile responsive local business website. From there, we also offer two SEO bundle packages. So, check it out, then call us for the ProEngage Local Houston TX Advantage, (832) 857-0065. WordPress Website Design & Hosting. Premium WordPress custom website designed to your specs. Host your website on our secure web server. SEO website keyword silo set-up & internal linking. 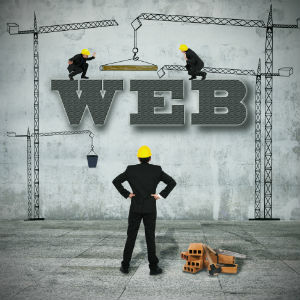 Optimize your website with proper SEO meta data. Royalty free images (90mil) & optimize image properties (call for details). The content (copy) is not included, but we do have separate service for this. There is an art & a science to finding the best keywords. Submissions to the best local citations & directories. Having the right inbound links is the most important part of SEO. Set-up &/or optimize Google+, & Google My Business (weekly posts). Optimized web page content for keyword optimization (call for details). Optimized internal & external social media links & optimization. Advanced best local SEO & marketing. Everything from our best Local SEO package is included. Purchase & install an SSL (https) on your website. As well as set-up & maintain CDN delivery network for increased speed & security. Monthly SEO blog posts & YouTube video quarterly. Both SEO & Social Media optimized. Regular relevant content posted on social media. Website re-targeting & custom audiences set-up (call for details). The business owners that call us about Houston web design prices generally fall into two high-level categories. The first group consists of businesses that already have a website. And more times than not, they are either wanting an upgraded website that is mobile friendly. Or, they already have a mobile friendly website. But, they are not getting the kind of results that they had hoped for. The second group consists of new businesses, & businesses that never got around to setting up a website. And, they need someone to walk them through the process. Though not rocket science, there is more to it than most people think. No matter what group you fall into. Chances are, we can help. At least with a standalone professional business website. When it comes to websites, the only thing we do not do is e-commerce (and of course anything shady). Meaning if you are wanting to sell something online, like coffee mugs, we are not what you are looking for. You can call us & we will point you in the right direction, but we specialize in “local” web design & “local” marketing. And when it comes to local SEO Marketing, we can only work with a certain number of clients. So, the bottom line is we can more than likely help. And, if we can’t. You can rest assured that we will not sell you something in the name of selling something! At ProEngage, we give credence to a no-surprise Houston web design & SEO pricing policy. We publish our basic pricing for you to review before you call us. Undoubtedly, we would need to meet with you before starting your project, but 9 times out of 10 one of the above Houston web design options are going to meet your needs. It is our strong belief that providing our pricing up-front is the right thing to do. We realize that others will use our published prices, & just add more services to each of our packages. Or, tell you that it is impossible, or not professional, to publish prices. That’s fine, because A. This is not your first rodeo, & B. It’s not our first rodeo either. If you have questions, call us. And you will be able to tell right away that we are not the typical churn & burn marketing company. We have worked with 100’s of local businesses over the last 20 years and we have confidence in our proven process. It is our belief that the Houston web design and SEO business is not as complicated as many consultants will lead you to believe. We believe that most local small businesses will find what they are looking for in one of our Local Advantage Packages. So again, call us with any/all Houston web design price questions, (832) 857-0065. Open the box, read and agree to terms of service, then click the orange button to check out. All our web design & hosting websites are set up as subscriptions. Meaning for one low monthly payment we will build, host, & maintain your website for as long as you choose. The subscription payment auto bills on the same day each month. We use PayPal as our billing vendor. PayPal is a universally trusted 3rd party billing company that does not share any credit card, or personal information with ProEngage. So, you have complete control over your account, & can end your subscription any time prior to the next automatic payment date. The monthly fee covers all custom design, website build, hosting, security, & maintenance of your website. Primary services include premium WordPress design, website hosting and security (on our server), SEO meta built into website, and royalty free images. All of our Best Value Website Clients are provided with a link to a full back-up of their website. And, every time your website is updated, so is the backup. So, if for any reason, you want to move your website to another hosting company, you have all the files to do so. And, there is no minimum or maximum number of months for this service. Your reoccurring monthly subscription can be canceled at any time prior to the next scheduled auto payment. I have read and agree to the terms of service. Click this button to sign up for $99/mo website with hosting.